Work Blues Who: Karisma Kapoor's Latest Look Is An Insanely Chic Case Of Blue Done Right! 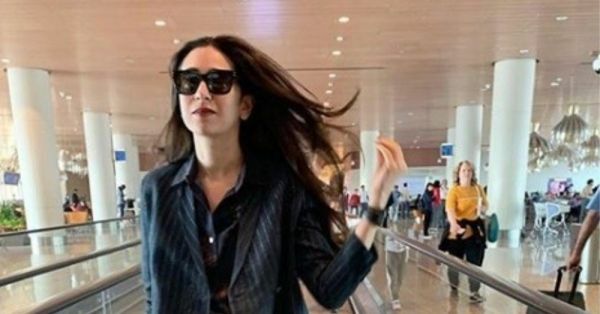 Back from vacation but with your mind, and soul, still in it may be a temporary mood for you, your friends, and for pretty much the rest of us, but Karisma Kapoor, the OG Bollywood girl-next-door, is no stranger to slaying at holidays and work alike. Remember her last off-duty look where she twinned with her son and the duo looked too cute for words? Back in the bay after a vacation like any other Bollywood celeb (and all of us, TBH), Karisma owned a navy avatar like it was NBD. Right from the blue colour palette to her devil-may-care attitude, the actress had everything great going on in her fab look and frankly, we aren't even surprised. Styled by Eshaa Amiin in separates by Integument, an Indian label that brings authentic craftsmanship and urban comfort together, Lolo looked at ease with sophistication to spare. 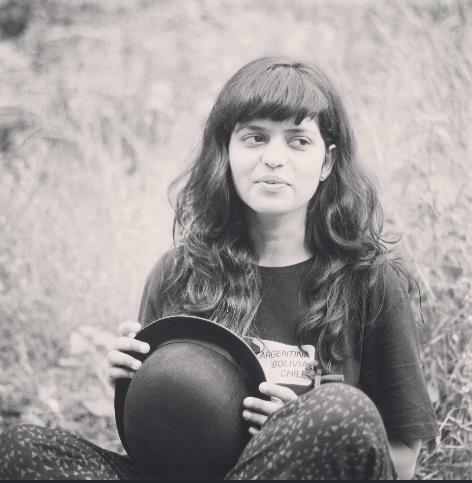 And if looking at her makes you feel like the work blues didn't hit her like the rest of us, you are probably right! Just like the caption she shared along with her picture on Instagram that read 'Back to the hustle', she is indeed back in style! 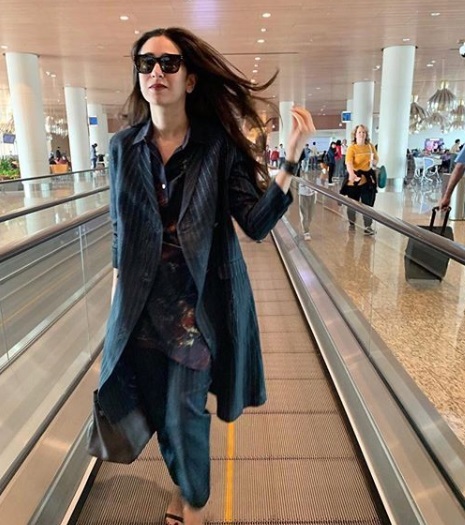 Dressed in pinstripe separates (which are clearly having a moment in B-Town), Karisma Kapoor donned a printed, semi-oversized navy blue shirt along with a pair of pinstripe trousers in the same colour. A matching knee-length blazer was effectively used for layering, completing her monochrome look. In terms of accessorising, she stuck to fail-safe heels, a pair of shades, and a black tote to carry her belongings. The minimal makeup, save for a scarlet lip colour, added the perfect finishing touch to her look and rightly so, for you couldn't miss that back-from-vacation glow even if you wanted to! Continuing her work commitments, Karisma was later seen in a draped Anamika Khanna number, looking chic as ever. Is there a better way to start the year or do we give the crown to Lolo already? !